A classic. Handsome and sturdy. 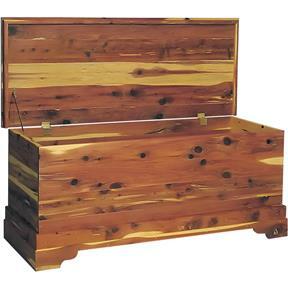 Calls for cedar, but pine and oak also work well. 20" tall by 48" long by 20" deep.Note: Due to their nature, plans are non-returnable. Defective plans will be replaced. A classic. Handsome and sturdy. Calls for cedar, but pine and oak also work well. 20" tall by 48" long by 20" deep. Easy to understand plans. Doesn't take long to complete.